Plug Uglies is a perfect addition to the library of any true-crime fan anywhere. 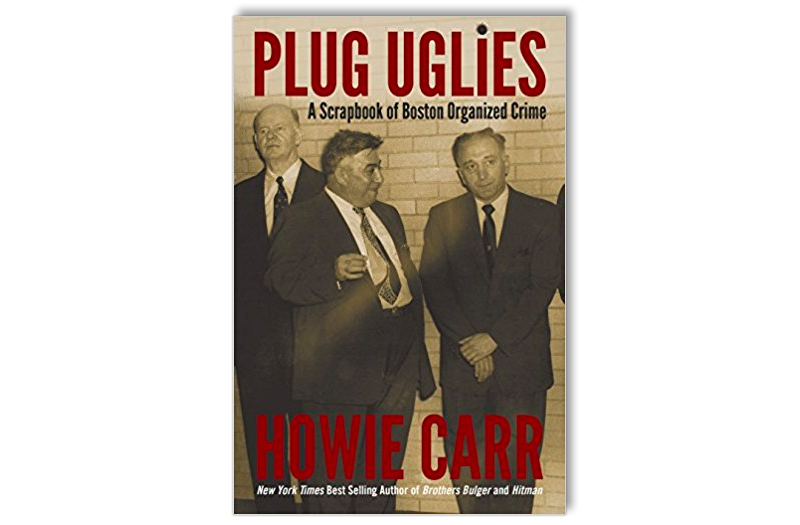 Plug Uglies is the final installment in best-selling author Howie Carr s series about organized crime in Boston. In this book, Howie tells a number of previously untold stories about the famous FBI bugging of the Boston Mafia s headquarters, the merger of the Winter Hill Gang with the Mafia, and the Plymouth Mail Truck robbery. He also includes scores of never-before-seen photos, revealing the private lives of Mob serial killer Jimmy the Bear Flemmi and one of Johnny Martorano s long-forgotten victims. The book also includes Whitey Bulger s early military and court records, including the first record of his informing from 1956, FBI Most Wanted posters, and a fascinating series of memos from the Massachusetts State Police detailing the inside story on the hits of the Irish Gang War. By far one of the best Boston organized crime books published. I thought I’ve seen all Boston OC pics but was greatly surprised by my assumption. The new pics posted are must seen for any mob buff.